Something mysterious is taking place at Onekama Consolidated Schools. No need for fear: student detectives are on the case, boosting their reading skills as they work together to solve, read, and write mystery stories. 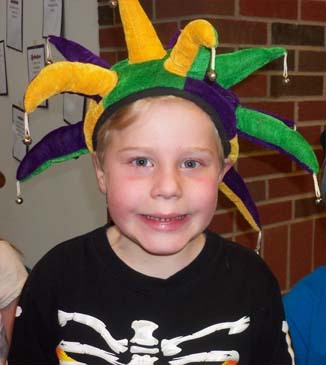 The theme for this year�s March Is Reading month is �March Mystery Madness,� and Onekama teachers have some thrilling adventures in store for their students. 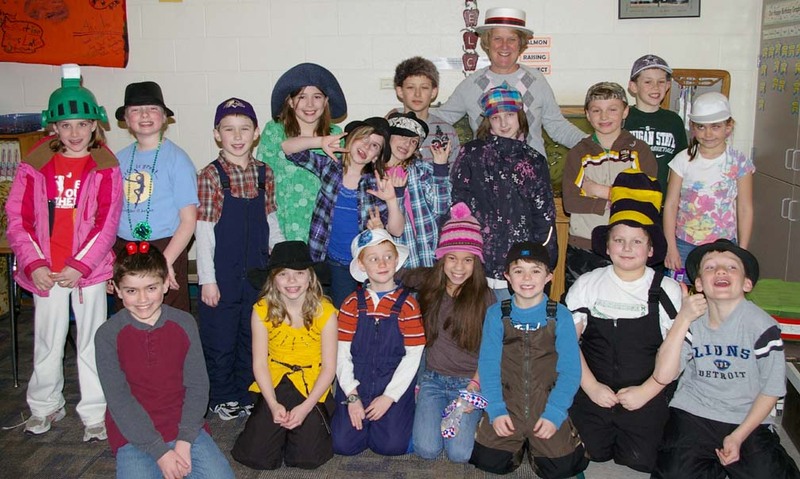 Included in the planned cast of characters is a visit from real-life Detective Jim Doering from the Manistee County Sheriff Department on March 25 to discuss his job responsibilities and help students understand the procedures for investigating and solving crimes. Throughout the month, students are learning the words from a detective�s dictionary, such as: alibi, clue, crime, detective, evidence, mystery, red herring, sleuth, suspect, victim, and witness. For some elementary classes, these words are spelling words or challenge words for the month. 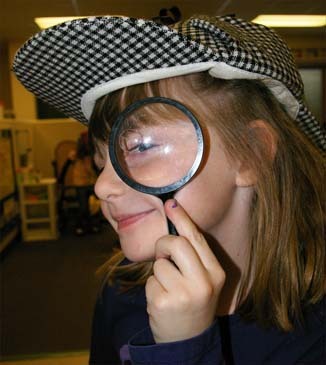 Students are also studying the ingredients for a good mystery: characters (suspects, detective and witnesses), setting, plot (a problem that needs to be solved, an event that cannot be explained, a secret, something that is lost or missing or a crime that has been committed, clues (hints that help the detective), and red herrings (clues that lead the detective off track). There is mystery in the air as well. On Tuesdays and Wednesdays at 8:00 a.m., a NHS student reads aloud a mystery over the intercom system in a special segment of �Mystery Radio.� Students then have the opportunity to solve the mystery. If they guess the correct suspect, then they may win a prize. "I like trying to guess who is reading the mystery over the speaker," said Perla Andres, a second grade student in Mrs. Eichberger-Kudlack's class. 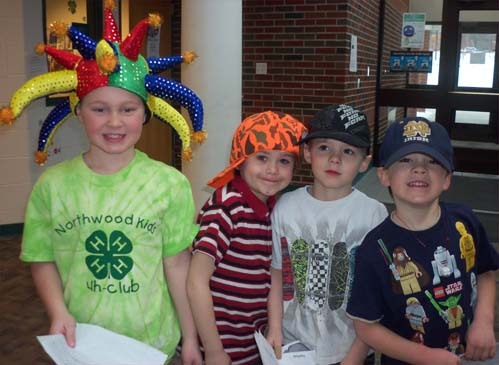 Thursdays are designated as special dress up days: Hats Off to Good Mysteries (Wear a Crazy Hat), Get Mixed Up with a Good Book (Wear Mixed Up Clothing), Cozy In with a Good Mystery (Wear PJs and Slippers) and Sock It to the Suspects (Wear Silly Socks). Young Author�s Night will take place on Thursday, April 7 from 4:30-5:30 p.m. in the Onekama School Media Center. During this event, students will share the original books they have written and illustrated to a small audience. The culmination of the reading celebration will take place on Friday, April 15th at 1:00-2:00 p.m. in the school�s new gymnasium with a visit from Michigan author Jonathan Rand. He lives in Indian River and has written the popular Michigan Chillers, American Chillers, and Freddie Fornorter: Fearless First Grader series. In a special presentation, Mr. Rand will give students a first-hand look at the process of creating and writing a successful suspense story. There are mysteries lurking behind every door of Onekama Elementary School this month. What is not a mystery, however, is the great planning by the teaching staff and the wonderful enthusiasm of their students. The evidence does not lie: �March Mystery Madness� is one thrilling adventure! 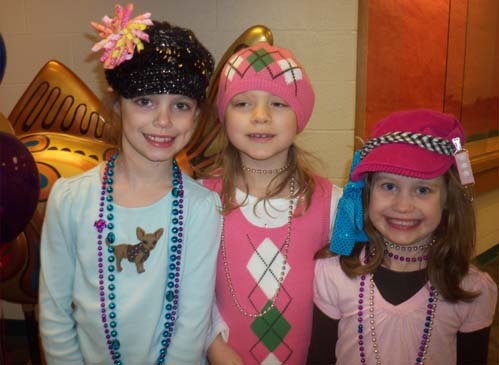 Students in Mrs. Catanese�s third grade class participated in "Hats Off to Reading Good Mysteries"
on Thursday, March 10 in celebration with March is Reading Month. Kindergarten students "Cozy In with a Good Mystery" by wearing their pjs and slippers to school.